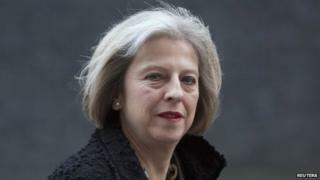 Home Secretary Theresa May's plan to expel foreign graduates from the UK has drawn strong criticism from scientists. They say the plan would hamper recruitment of top researchers and harm the international reputation of UK universities. Mrs May has backed a proposal to make those on student visas return home immediately after graduating. The Home Office has said the "brightest and best" could still apply for UK jobs but must return home first. The proposal backed by Mrs May would scrap the current four-month period that allows graduates to seek skilled work in the UK. It sits at odds with commitments made last week in the government's Science and Innovation Strategy, critics say. The director of the Campaign for Science and Engineering (CaSE), Dr Sarah Main, said: "I am dismayed that the Government seems intent on thwarting its commitment to make 'Britain the best place in the world to do science' with immigration proposals that threaten to put off the exceptional scientists and engineers who wish to come here. "The Prime Minister and Chancellor have been unequivocal in their intent to make the UK a world-leading scientific nation. That requires the world's top talent to be attracted here. "Theresa May's proposition... directly undermines that goal." Prof Stephen Curry from Imperial College London wrote a response for The Guardian and told the BBC he was surprised and frustrated by the Home Secretary's stance. "It was kind of thoughtless," said Prof Curry, a structural biologist who has worked on science policy issues with both CaSE and the group Science is Vital, of which he is vice-chair. "It was all about trying to put the pieces in place, and it's a public document and they'd consulted widely on it beforehand - that's all healthy. That was a good move." As Prof Curry pointed out, the strategy document makes specific mention of overseas students and their ability to stay and work - the very opportunity Mrs May wants to close down. "It was just depressing, from someone so senior in government, to be so off-message," he told BBC News, adding that it "causes reputational damage internationally". Overseas students represent an important source of income for UK universities, and the nation as a whole. The Home Office has said that the "brightest and best" would still be able to apply for work in the UK after their studies, but they would have to return home to do so. Dr Main said this was impractical and risked turning precisely those brightest and best students away. "Forcing students to return home to apply for a work visa would put significant barriers of time and money in their way when they can least afford them," she said. Countries like the US, Australia and Canada have a post-study work visa of 12 months - already longer than the four months currently offered under UK policy. Prof Martyn Poliakoff from the University of Nottingham told BBC News that international students "contribute a lot" to the UK if they are permitted to stay. "It seems to me that it's reaping the benefits of the efforts that we've put into the training," said Prof Poliakoff, an eminent chemist who is foreign secretary and vice-president of the Royal Society. "Certainly I think in the area of science and engineering, allowing these bright young students who we've trained to participate in research for a few years is very beneficial to our country." Prof Poliakoff said he was "very much in agreement" with former science minister David Willetts MP, who wrote in the Times that May's plan was "mean-spirited and inward-looking". Mr Willetts said he had been thanked by a former Australian minister because the UK's tightened rules for post-study work visas had boosted Australia's market share of international students. Prof Poliakoff said the new proposal of even tighter restrictions was misguided and poorly timed. "Just raising this possibility may discourage students, and it's come at just the time of year when students will be deciding whether to apply to the UK or elsewhere," he said.